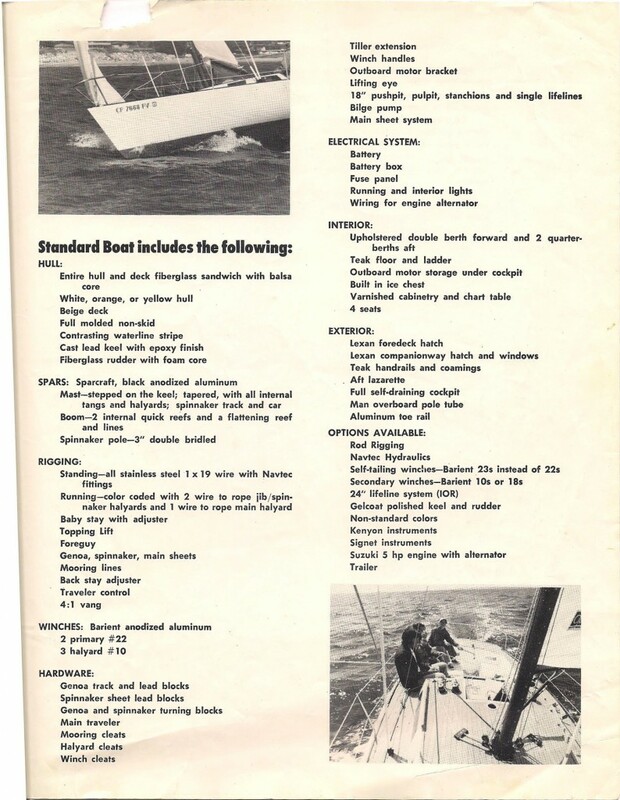 This is a page from an original Pacific Boats sales brochure. It’s of particular interest to read the Robert Perry review from 1978 and then read his revisited review from 32 years later. His disparagement in the 1978 review is completely withdrawn and replaced with almost unreserved enthusiastic praise for the Olson 30’s design, performance and longevity.